Love the background paper and your combination of embellishments. I especially love the word stickers. They are one of my favorite design elements. Love this, great page. 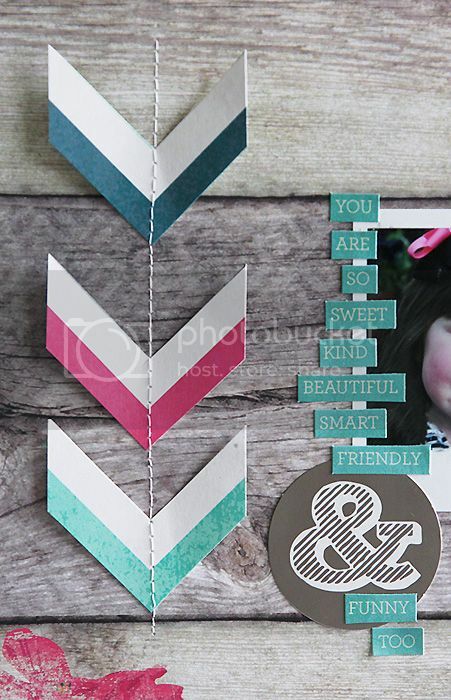 The background and the chevron arrows both wonderful. Her eyes are so blue - beautiful layout as well. what a great page! love all the details! Love the layout! It's so beautiful with the cut out chevrons + sewing! Beautiful Mary Ann! 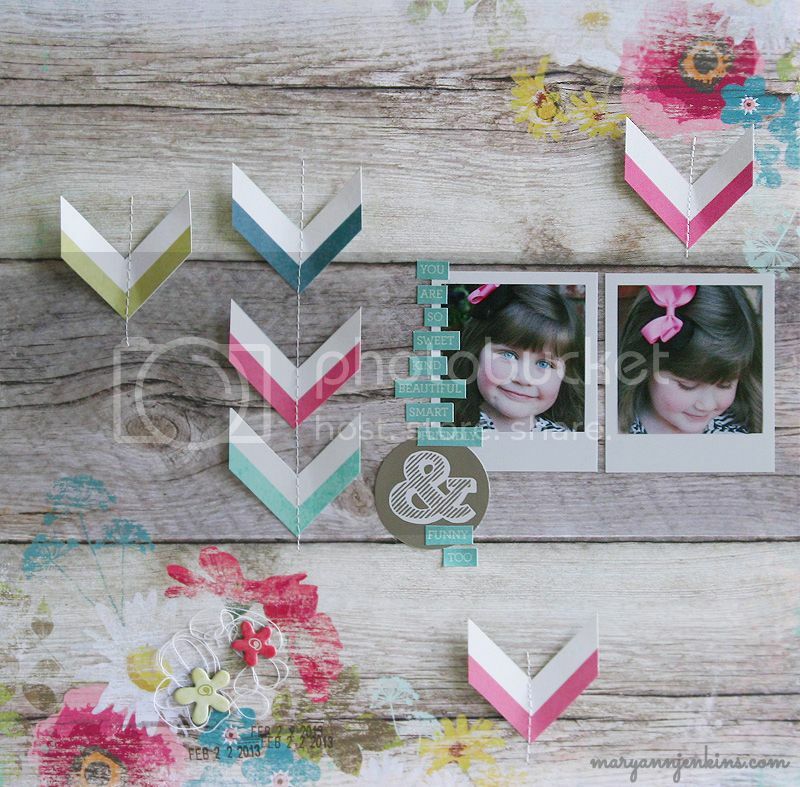 Love the sweet little Polaroid photos and the stitched chevron! Very pretty! Love the stitched chevrons.